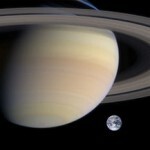 1) Saturn has over 60 moons. 2) The smaller moon in this photo, Epimetheus, is only 72 miles across and has a very uneven shape. 3) The larger moon, Titan, is 3,200 miles across. 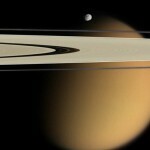 4) The moon Titan is larger than the planet Mercury. 5) Like Earth, Titan has lakes, rivers, dunes, mountains and possibly volcanoes. 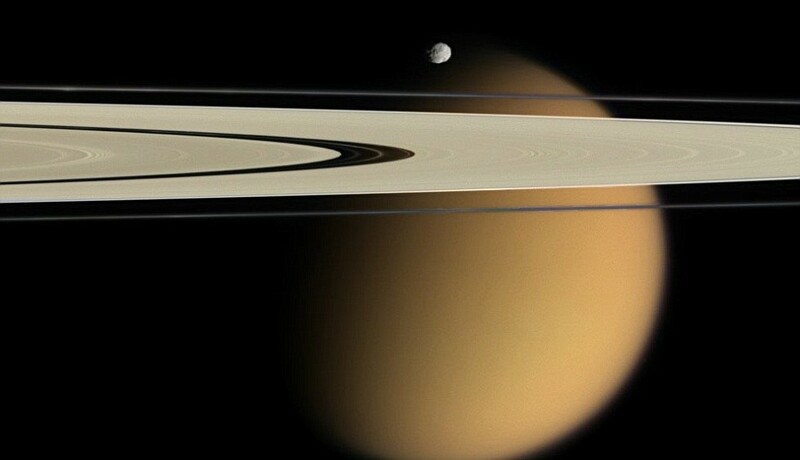 6) Like Earth, Titan has clouds, rain and snow. 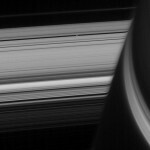 7) A day on Saturn is 10 hours and 39 minutes—it spins on its axis very quickly. 8) A year is equal to 29.5 Earth years. 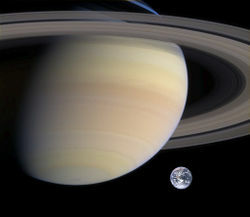 This composite photo shows the relative sizes of Earth and Saturn. 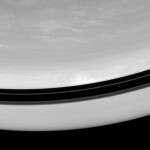 1) Saturn’s rings are made of ice chunks and rocks that range in size from the size of a fingernail to the size of a car. 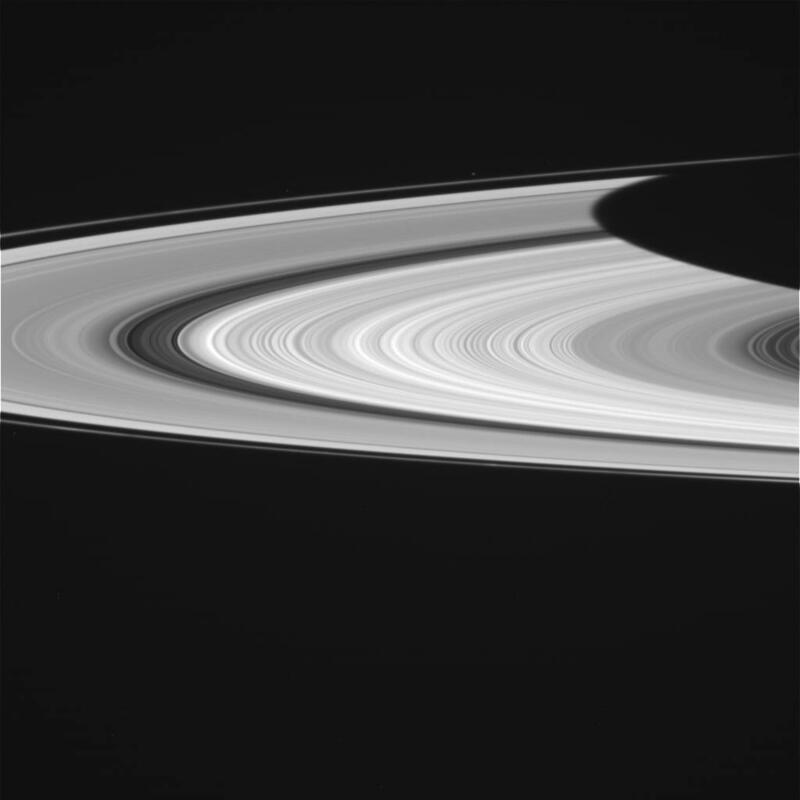 Although the rings are extremely wide (almost 185,000 miles), they are very thin (as little as a few thousand feet ). 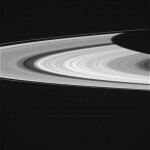 3) Rings form when asteroids or comets pass too closely to a planet or moon and tear it apart. The parts continue in orbit. 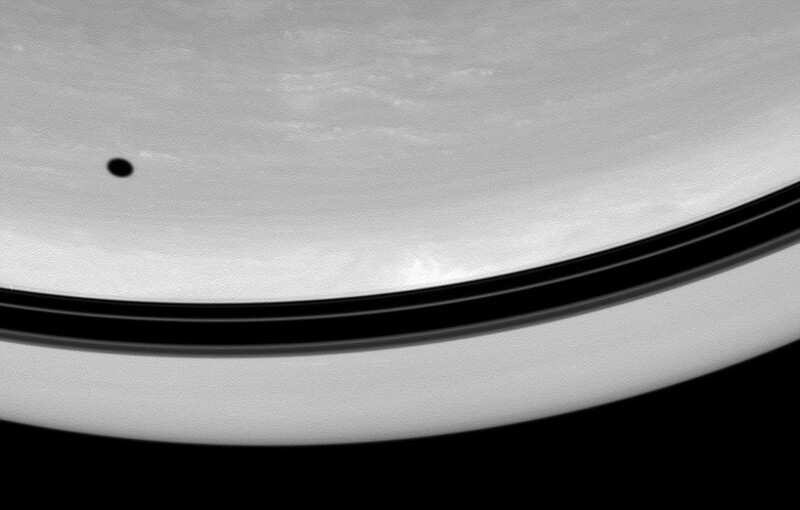 Saturn’s north is a seething cauldron of rolling cloud bands and swirling vortices. 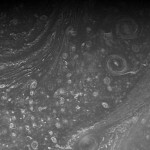 This image was taken at a distance of approximately 336,000 miles. 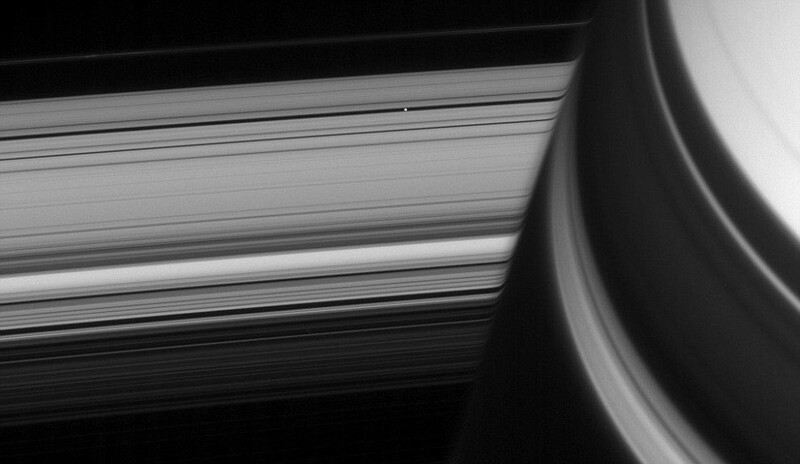 See the tiny white-dot-of-a- moon in the middle of the black space in the rings. 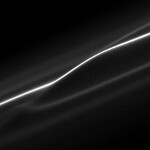 This photo shows how gravity from a passing moon disrupts the orbit of one bright and one faint ring. You are exploring a wonder in Cosmic Wonders. I can’t find words to describe these beautiful scenes. 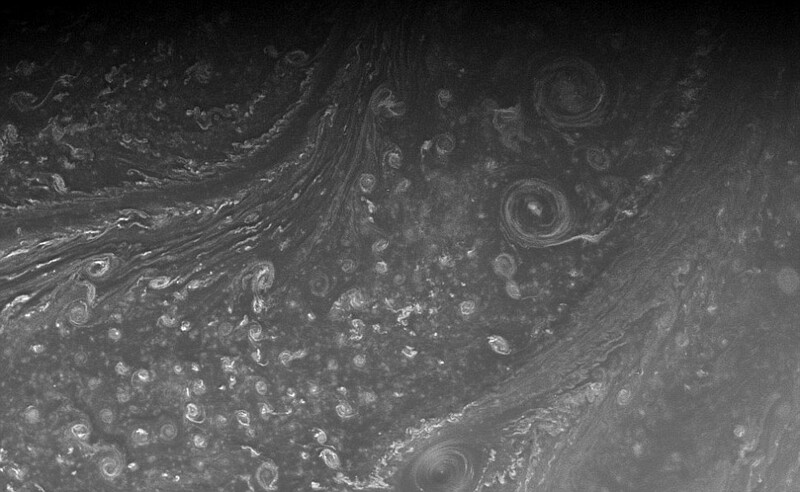 I agree, space photos has long been of great interest to me.